The main research focus of the Group Quaternary Geology and Paleoclimatology are reconstructions of various environmental and climate changes in the past, notably in the Quaternary period, i.e. during the last 2.6 million years. This period is characterized by repetitive glaciations affecting mountain belts and their foreland. In the younger part, mankind appeared imposing a variety of impacts on the natural environment. The group conducts numerous research projects that investigates a variety of sedimentary archives (i.e. through drill holes) to reconstruct in detail these changes, including climate change, environmental change, natural hazards and human impacts. Understanding the fundamental processes within the global climate system is a pre-requisite for modeling reliable scenarios of future developments of climate change. For this purpose, the group cooperates closely with the Oeschger Center for Climate Change Research. Knowledge of Quaternary deposits furthermore are important for applied aspects, as they are mostly unconsolidated. They are critical for applications such as geotechnics and natural resources. Many geologists will be confronted with these themes during their professional career, so that these aspects are also emphasized in the educational courses. The Geozentrum Burgdorf is operated jointly with the University of Bern and the Bern University of Applied Sciences for architecture, wood and civil engineering. 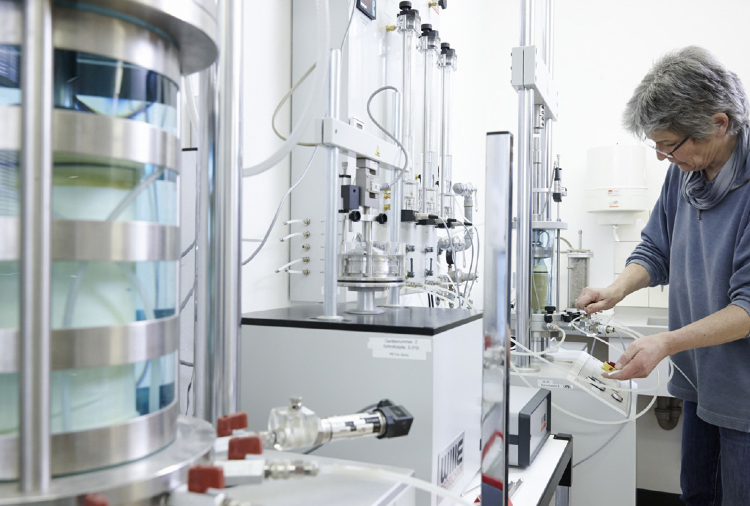 It consists of a comprehensive Laboratory for geotechnics and engineering geology and is located in Burgdorf. Its laboratories support the education through courses at both institutions and allow a variety of material tests. Scientific drilling is a critical tool in our understanding of earth processes and structure. The Swiss National Science Foundation (SNSF) supports membership of Switzerland in the International Continental Drilling Program (ICDP) and the International Ocean Discovery Program (IODP). The coordination office is located at the Institute of Geological Sciences of the University of Bern.